This is the first Essay Review I've ever done; just as the title replies, it is a review written in essay form. Yes, I wrote it like I would for school. I needed the practice :). ~First Line of Book: "Staring out the bedroom window, Ronnie wondered whether Pastor Harris was already at the church." ~Last Line of Book: " 'I love you, too, Will Blakelee,' she whispered, leaning in to kiss him again." 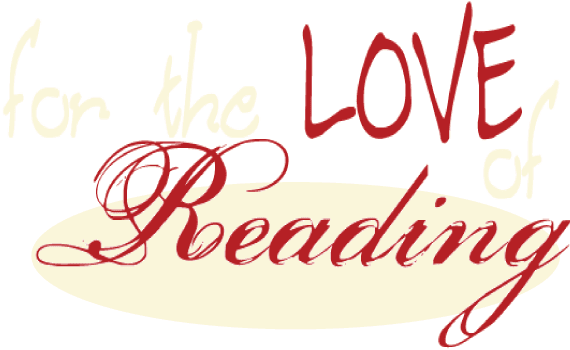 Review: Do you like to read? Or maybe you do read occasionally, but you're picky on the topic. I know a lot of people like this, yet if you know them well enough, you can find out exactly what they like to read. We all have a favorite book or magazine. My favorite novel is The Last Song by Nicholas Sparks. The Last Song is my favorite novel because it has an exceleent plot; wonderful, unique characters; and a great life lesson. First of all, The Last Song is my favorite book because Nicholas Sparks created an awesome plot. I'm going to assume that all of us have started reading or completely read a book with aplit we didn't like, This happens sometimes, but not with The Last Song. It is about a girl whose dad finds his wife cheating, and he leaves them. The daughter becaomes angry towards the father and doesn't speak to him for three years. This is definitely a plot that several teenagers can relate to. At the same time, The Last Song is a Young Adult romance novel. Ronnie, the main character, meets a young man named Will when she visits her dad in NOrth Carolina; yes, lkike most romance novels, Ronnie and Will fall in love. Again, this is something that some people can completely relate to. How everything fell together in The Last Song was marvelous. Nicholas Sparks' fabulous plot is an unquestionable reason as to why The Last Song is my favorite novel. Next, Sparks had a magnificent characters, which helped make me love The Last Song even more. I was crying near the end of the book. I won't spoil the climax of the novel for you, but Ronnie's father gets an illness and is hospitalized. Let me just tell you that you will LOVE Steve, Ronnie's dad, by the tagivc realization of his illness. Will's character is any girl's dream, smart, handsome, dedicated, romantic. I really missed his character once he left for college. Marcus's character made me strongly, passionately dislike him, but I guess that's what Nicholas Sparks wanted. Overall, however, you can see that the people Sparks has created to narrate The Last Song are spectacular, which is another contributor to why I love this book and consider it a favorite. Finally, I have honoured The Last Song as my favorite novel (well, really only one of my exceptionals) because Nicholas sparks included a wonderful life lesson in the midst of the story. To be honest, the majority og people who have read this book might not have even noticed this, and Sparks might not have intended to include a life lesson at all, but he did. What I gained from this book was that if your parents ot friends or any other family members split apart, it is okay to feel angered, but don't reject and ignore them, because when they are gone and cannot come back ot reply to your messages and letters, that is when you will really and truly miss them. We must all cherish our loved ones while they are here with us still. Any moment could be the last moment that we have with the,. "Appreciate and cherish the loved ones you have now, for they are not promised to you tomorrow." I believe this quote to the deepest depth of my soul, and it is my6 opinion that Nicholas Sparks, by writing The Last Song, has given us a perfect example of what the quoataion above means. Sparks' hidden life lesson goes without speaking as ont of my favorite things about my favorite work, The Last Song. As you can see, Nicholas Sparks has done a completely wonderful, spectacular, and all together outstanding job of writing The Last Song. The book included an excellent plot, several unique characters, and a fabulous, but somewhat hidden, life lesson. In casr you didn't know, The Last Song has recently been made into a movie, in about mid-2010. I myself have not yet gotten a chance to see the movie, but I plan to soon. 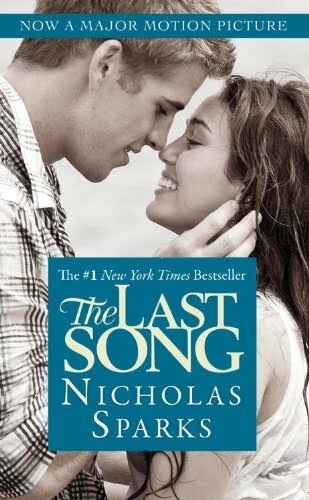 I have run across a plethora of books that were close to being on my favorites list, but The Last Song, by Nicholas Sparks, is probably the best of the best so far. As I said earlier, all of us have a favorite book; or maybe it's a magazine, but there is something we all love reading. For myself, this would be The Last Song, but I wonder: what's yours? Jonah oushed his glasses up. 'I'm not a little kid anymore. It means pissed-at-men syndrome.' "
"He continued to stare at Ashley as he answered. No surprise there. Everyone always notice Ashley. She was like a flashing neon sign for anyone with an ounce of testosterone." "His dad always wanted the place to look as though the floor had been waxed and the place just opened for business. Unfortunately, air-conditioning hadn't been quite so important to him, and in the summer, the temperature was somewhere between the Mojave and the Sahara." "In her mind, haveing a Baptist pastor teach him the piano was akin to playing hopscotch with the devil." An impressive share! I've just forwarded this onto a co-worker who has been doing a little research on this. And he actually bought me dinner due to the fact that I discovered it for him... lol. So let me reword this.... Thanks for the meal!! But yeah, thanx for spending time to discuss this topic here on your web page.